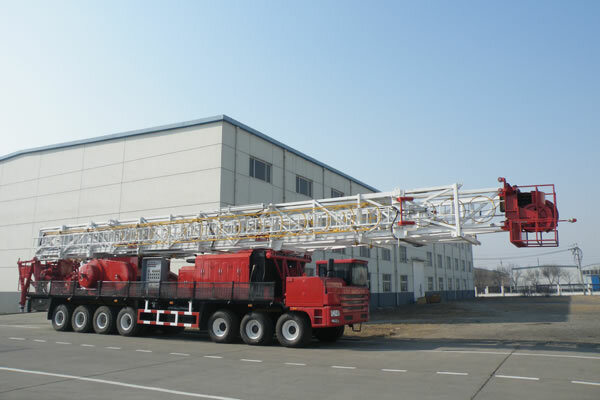 ZJ40/2250CZ truck mounted drill equipment is the largest type of truck mounted drilling rig in the world till now, which is self-developed by our company. It is suitable for drilling operation of middle and shallow wells which is within 4000m, heavy repair operations of oil and gas wells and water well drilling operations. 1. Well drilling rig is suitable for drilling and work-over operations of middle and shallow wells. 2. CAT/ Cummins series diesel engine can be used. 3. Equipped with ALLISON hydraulic transmission box. 4. 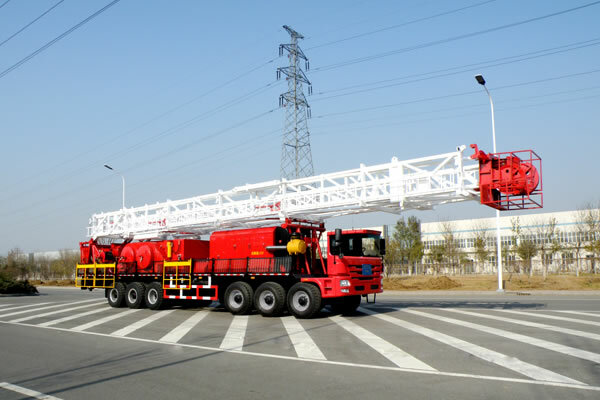 Equipped with 14×10 petroleum-purposed vehicle chassis, it has good cross-country ability. 5. The main brake for the draw-works can be band brake or disc brake, the auxiliary brake can be Eaton pneumatic water cooled disc brake or water brake.